To drone or not to drone, there is an emerging battle looming in the skies, as the anti-drone technology is gaining more fans, more so when drone mishaps are reportedly happening unabated. While the fascination for hobby and consumer drones continues to attract more and more followers, makers and users, there is also a growing number who have maintained a skeptic, even an antagonistic stance, fueled in part by the general association with military drones, fear-mongering tactics of some in media promoting a false image of drones and their users, as well as the non-stop rise in drone incidence committed by rougue drone pilots. This negative reaction, apart from posing big challenges to the advancing, legitimate drone industry, also means business for those wanting to economically benefit from it – hence, the rise of the anti-drone technology. This is not the first appearance of the anti-drones. Last year, the technology was already creating a buzz, according to this article. Companies looking to safeguard their operations from rogue drone operators are now turning to ‘anti-drone’ weapons to neutralise the threat mid-air, Flight Safety Australia (FSA) reports. While there may be valid concerns for safety and privacy, articles such as the following, obviously a fan of the anti-drone tech, do more harm rather than educate the public as to the good drones can do. 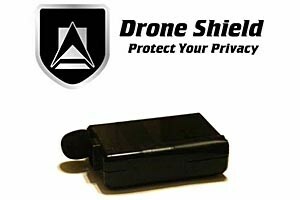 Another company cashing in on the negativity being hyped in media is Drone Shield, a a U.S.-based anti-drone technology company. BrinkNews reported on its interview last year with the company’s co-founder, Brian Hearing. Meanwhile, the demand for drone photography services continues to soar high. Just taking a look at the winning entries to the 2015 Drone Aerial Photography Contest makes one understand why using drones for taking such riveting vivid aerial photos is a big selling point of the drone industry. Amateur and professional drone users know their responsibilities, abide by the rules, and promote safe, responsible flying; only there are just some “rotten eggs” among them who recklessly defy safety rules and policies. But there is nothing that should stop the legitimate drone industry from advancing and innovating.